Harrogate is a spa town that came to prominence in the Georgian era of the 18th century, located in northern England’s North Yorkshire region. Nowadays it has a population of approximately 75,000, and with close proximity to the Yorkshire Dales, alongside a delightful selection of property, Harrogate is a highly desirable place to live. At My Home Move Conveyancing we have been developing our knowledge and expertise of local markets since 2002, allowing us to bring our clients a specialist, fixed fee conveyancing service. It’ll be necessary to instruct a lawyer to carry out the legal work on your behalf when buying or selling property in Harrogate. 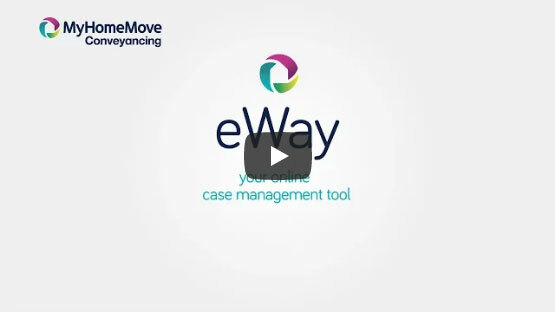 My Home Move Conveyancing offer you award winning customer service, which complements our innovative use of technology and intimate knowledge of the local market. There are no hidden extra costs to our fixed fee conveyancing service, meaning you’ll know exactly how much you’re going to pay from the outset. Moreover, if you don’t end up moving, you won’t pay us anything in legal fees. We assign a dedicated conveyancer to each of our clients who’ll oversee your case from start to finish, providing you with a consistent point of contact, and regular updates on your progress. At My Home Move Conveyancing we are proud to offer assistance to homebuyers across the Harrogate area, from popular spots close to the town centre, to desirable villages such as Pannal and the New Park area. The average house price in North Yorkshire is £181,354, while in Harrogate the overall average price of houses sold during the past year was considerably higher at £282,800. Semi-detached properties were most popular, selling for an average of £261,170, while terraces weren’t far behind going for £238,026. Flats and detached properties also sold a similar number, fetching £188,827 and £464,055 respectively. Renowned as a spa town since the area’s water was first discovered in the 16th century, Harrogate is a place with a strong Georgian and Victorian heritage. It is characterised by draws such as the majestic nearby countryside and bustling town centre tea rooms; offering a quieter way of life than large cities in the area such as Leeds. It is still very much in touch with these metropolises however, with a train to Leeds taking around half an hour - with extra commuter services put on at peak times - while Manchester can be reached in just over an hour and a half, and London in three hours. The A59 provides fairly swift access to the A1(M), while Leeds Bradford Airport is only 10 miles from the town centre. There is a selection of excellent schools for families with children to consider, including St Joseph’s, Markington C of E and Grove Road Community at primary level. Notable secondary options include Harrogate Grammar, St Aidan’s C of E High and Harrogate High, a specialist Sports College. Much of the area is parished and most collect parish precepts. Figures shown are for the centre of town, where these aren’t collected.